Writers are the people who introduce us to a different world. A world built by them for us. A book involves millions of if’s and but’s. But once it is reached to us what we see is only words flowing in a perfect way. We people at Tbs planet appreciate all the efforts of a writer and believe that they are no less than a Superhero. A Superhero with Ink. 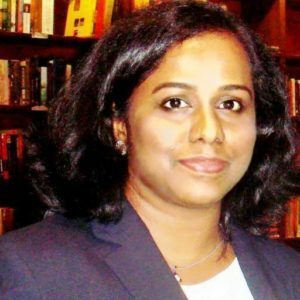 In our very first Author Interview, we have Preethi Venugopala sharing some of her experience with us. 1.Tell us about your recent book. My latest book is ‘A Royal Affair’ which is available now only as an eBook. It is a story about second chances in love. The story begins with an unusual quest undertaken by a British reporter, Jane Worthington to trace her relative, a soldier in the British Indian army who had gone missing in 1947. Her ex-boyfriend and the scion of the erstwhile royal family of Sravanapura agrees to help her in the mission. The story is part suspense and part romance. 2.Can you share little details about your background ? I am also an alumnus of Anita’s Attic, the creative writing course conducted by eminent author Anita Nair. I love reading stories about prince and princesses. It feels like reading a fairy tale. This book is an attempt to create a modern-day fairy tale with a happily ever after. I created a fictional south Indian kingdom called Sravanapura. The male protagonist Vijay Dev Varman is an Oxford graduate and Jane Worthington, the female protagonist was his collegemate there. The backstory talks about their romance and what went wrong between them. 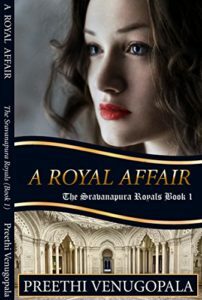 I am currently working on the sequel of ‘A Royal Affair’ which will tell the story of Princess Kritika of the Royal Family of Sravanapura. 5.When did you start writing? I began writing during my sabbatical from work. It was in 2013 that I began my blog. My first short story was published in 2014. My mentor Anita Nair comes first. Her books can be read any number of times. Books by Nandita Bose, Adite Banerjie, Preeti Shenoy, Sonali Dev, Shinie Antony, Kiran Nagarkar, Jaisree Misra, Amitav Ghosh, Jhumpa Lahiri and Chitra Divakaruni among Indian authors inspire me. Among foreign authors, my favourite books are written by Jane Austen, Julia Quinn, Judith Mc Naught, Devika Fernando, Dan Brown, Gabriel Garcia Marquez, Cecilia Ahern, Rainbow Rowell among many others. I have a half-done manuscript which I plan to pick up after completing the current project. Another manuscript is in the process of publication. I also take up editing fiction manuscripts once in a while but nowadays I am doing it only for selected manuscripts. 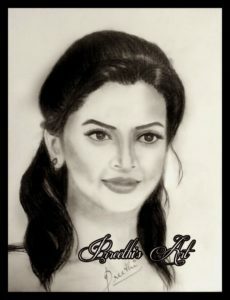 I love doing charcoal portraits and paintings. I also love to do digital art and illustration using photoshop which I use to create illustrations for my children’s books. The covers of my eBooks are designed by me. 9.Is there any book you personally love and would recommend to all the readers? There are many. Being a Potterhead that I’m, I will surely recommend Harry Potter Series. Also, if you haven’t read it, you are missing something amazing. Without reading books, you cannot write. So, read more books in the genre you wish to write. It will make you understand what works. And to widen your perspective read other genres too. Also, be ready to experiment.